Let's be honest - there's a reason everyone loves London. Britain's capital city is a historical, cultural and modern icon; it's a city that's brimming with art, politics, economy and everything in between. There are few places more diverse. Ask yourself - where else could you explore a royal palace, visit a house of parliament, dine on world-class dishes, watch one of a kind theatre and catch a glimpse of priceless art? If you're the kind of traveller that needs a little bit of everything, London is the place to be. If you're heading to the vibrant city for the weekend and are trying to plan the ultimate London break, then look no further - our list of activities and attractions has something for everyone. Buckingham Palace - Love her or leave her, there's no talking about the history of London without giving a mention to the Queen. Her royal residence, Buckingham Palace, is open to visitors along with the stables, and gives visitors a unique glance inside the state rooms, as well as a look at the history of the royal family at large. The Houses of Parliament - Even non-politicos will appreciate the history behind for Westminster. Guided tours take you through the rooms and Chambers, detailing the important history of government in Britain and telling some of the more colourful stories along the way. Hampton Court Palace - It's one of the lesser visited palaces in London and for this reason, one of the best. See the place where Henry VIII married and murdered his wives, learn more about Tudor architecture and innovation, and discover what life was like for the upper and lower classes in the 16th century. Tate Modern ­- London's modern art gallery is one of the most popular in the city, and with good reason; it's home to a prestigious collection of modern art and is housed inside a building that's just as inspiring. Browse modern and contemporary art from 1900, or check out the prestigious visiting exhibitions on display throughout the year. The best part? Admission is free. National Gallery - Centrally located in Trafalgar Square and founded in 1824, the gallery is home to more than 2,300 paintings ranging from the 13th to 20th century. Entry is free, and inside you can see works by Monet, J.M.W. Turner, Vincent Van Gogh and Leonardo da Vinci, among others. Oxford Street - On a sunny day, Oxford Street is home to flagship stores of some of Britain's best brands. International high street favourites can also be found along Oxford Street, and the surrounding areas have lots of bars and restaurants where you can fuel up after a long day of shopping. Westfield Mall - London isn't exactly known for its nice weather, so if it's raining fear not - Westfield Mall Stratford City is London's premier shopping mall and there's scarcely a shop you can't find under this roof. From bargain brands to designer labels, if you're looking for a convenient one-stop shop, this is it. Camden Market - If you're looking for something a little more original than just any old brand name, Camden Market is just the ticket. The buzzing market is a great place to shop for small gifts and souvenirs, and here you can find artisan craftmakers, jewellery designers and clothing makers. The unique atmosphere in Camden is worth a visit all in itself. Madame Tussauds - While many of us dream about being photographed alongside our favourite celebrities, for most of us it's just that - a dream. So, how about the next best thing? Madame Tussauds is home to a collection of stunning wax replicas of celebrities and figureheads both past and present. You can take a picture with the likes of the Duchess of Cambridge, Lady Gaga or David Beckham - all in one afternoon. The West End - Rivalling New York as the theatre capital of the world, you can catch drama at its finest at the theatres in the West End, and with hotels nearby it is ideal for visitors. Cult classics like the Phantom of the Opera and 39 Steps thrive alongside new favourites like Matilda and Shrek the Musical - no matter what your tastes, there's something to amuse and entertain. 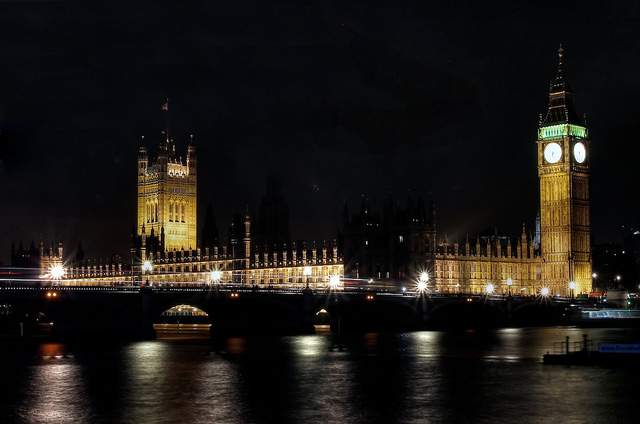 Claire Tavistock has loved London both from afar and as a resident.